This modern world of fast paced technology and increasing technological complexities is rife with options for individuals or businesses to establish their own websites to increase customer traffic and interest. There are few limits on what a privately owned website can accomplish with the right mindset, the right idea, a powerful web hosting service. Web hosting allows for individuals or businesses to post their websites on the greater world wide web. A web host is necessary for a website to exist, and each site is stored in a greater data bank known as a “server” by the host service provider. Choosing to start a website requires you to search for the right web host. Cloud hosting is a different form of web hosting that uses virtual servers through the internet’s extensive “cloud” storage. Cloud hosting services are gaining in popularity and can be highly beneficial for your personal or business website hosting purposes. The primary difference between cloud hosting and web hosting is that a cloud hosting provider uses a number of virtual servers to provide hosting service for websites. Normal web hosting generally uses one physical server. In other words, where websites utilizing a web host service are all run off the same server using the same resources on that server (such as space, storage, and bandwidth), websites on a cloud hosting server use a variety of servers to ensure the highest possible quality and speed. Web hosting has long been the favored and most popular form of hosting service, and it is still preferred for its lower costs on average. In general, web hosting services are either on a smaller scale, providing service for a singular web page or a free web domain with limited functionality, or a larger scale, providing hosting services that must be paid for and support a multiplicity of websites. Since cloud server hosting is a real time affair, a faulty or otherwise troublesome server can be quarantined and your website moved to a more efficient server in seconds. The overall distribution of website resources also means that a single server is not getting overloaded by the number of websites that may be hosted on it. For instance, if one website on a shared server were to see an increase in traffic, all websites on that server are likely to experience decreased efficiency. Cloud hosting companies, through the use of multiple servers, does not have this issue. Hostgator Cloud offers a highly flexible and easy to use website building tool that can be used on their expansive Virtual Private Server (VPS) system. With 24/7 customer support and plenty of price options to meet the needs of a more casual user all the way to a professional business, Hostgator Cloud is a high quality cloud hosting service. In addition to serving as an excellent beginner’s hosting service, Hostgator Cloud also offers several high quality and affordable WordPress hosting options with the highest uptimes available. These WordPress options are good for either single users or for businesses looking to run multiple websites at high bandwidth speeds. In addition to its cloud server and WordPress hosting services, Hostgator also offers cheap web hosting and reseller web hosting. Whatever your needs, Hostgator Cloud can provide. Hostgator Cloud offers security measures that include custom firewalls, flood protection, and DDoS protection. Beyond that, the company makes it clear that it is your responsibility to keep track of your passwords and ensure that they are strong, to backup your website regularly, and to ensure that you have secure connections throughout your site. Each of Hostgator Cloud Hosting Plans on a VPS, vary between 25 GB and 3 TB of space, and the company offers a 45 day money back guarantee if you are not satisfied with your service. 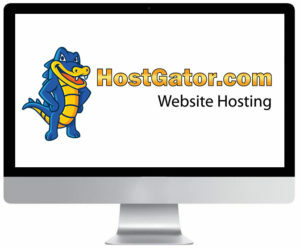 Read my Hostgator Review to find out more details. Bluehost Cloud is one of the highest rated web and cloud servers. The service offers excellent uptime levels, 24/7 customer support, fast download speeds, and high quality service overall. Their monthly cloud hosting plans are exceptionally affordable, though they do require a longer subscription commitment time (between 12 and 36 months). But if your intention is to start a new website for the long-run, this should not prove much of a problem. Bluehost Cloud offers fast, efficient WordPress compatibility as well as a top-notch security system in partnership with CloudFare. CloudFare offers hotlink protection and anti-spam functionality, and comes with an array of different protection options for each individual website. The overall website creator tool and control tools are very user friendly and highly intuitive for your website needs. Bluehost Cloud also provides a consistent website backup protocol so that your data is always recoverable (and you can manually backup your website whenever you want outside of their automated system). 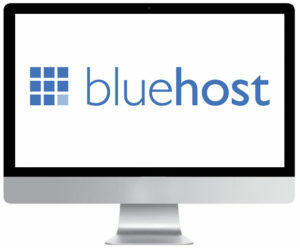 Bluehost Cloud’s servers offer between 30 and 240 GB storage with a 30 day money back guarantee. Read my BlueHost review for a more in-depth look at this host. From these cloud hosting providers, you develop your unique app, choose which server resources you will require, and within minutes your website will be up and running. This method of service allows for a sliding scale type of payment structure, which means you pay for what you use rather than paying outright just for the service. For security, Cloudways utilizes a “whitelist” IP address log that will allow you to access your server from different, secure nodes. Cloudways also provides efficient platform level firewalls to keep out malicious traffic and hackers. The host also provides automatic site backups to ensure that your data is safe and secure in the case of a breach. The basic Cloudways plan includes 512 MB RAM and 20 GB storage. From there, you can scale upwards depending on your website’s needs. 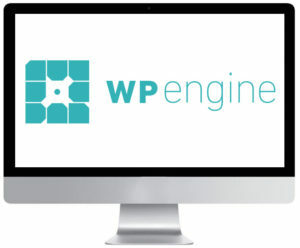 WP Engine is the quintessential WordPress managed hosting service. This web host gives you more time to focus on creating and maintaining your business without having to worry about the headaches involved with platform power and maintenance. WP Engine’s platform operates over 30 different open source technologies to increase the overall speed and efficiency that is delivered to your hosted website. WP Engine offers 24/7 customer service and some of the fastest download and uptimes available. The service utilizes a technology known as “Evercache” which allows for your website to maintain its resources while, at the same time, supporting a high volume of traffic to your website. However, these services do not come cheaply, as WP Engine is on the higher end in terms of price. For security, WP Engine has established firewalls, regular automatic malware scans, and automated daily backups. As an added bonus, you are also given a “staging” function which allows you to create a mirror image of your site where you can test different plugins and the like to for bugs and other issues that may affect the functionality of your website. Once you are certain there are no issues, you can then implement these changes to your live site. The base plan for WP Engine offers one WordPress site installation, 10 GB local storage,and a dedicated IP address. The further you scale your plan upward, the more the data and subsequent price will rise. The byline of Digital Ocean is simplicity so that you can spend more time conducting business and less time worrying over the performance of your web host. Individuals and businesses alike will appreciate Digital Ocean’s user friendly platform and high speed performance scaled over several different hosting options. Digital Ocean takes its customers’ security very seriously, and restricts its technical staff from accessing anything but the most critical systems. For your website, they offer automatic backups that are kept secured on Digital Ocean’s private servers. This hosting service offers excellent, high speed download and uptimes, easy to navigate control panel, and scaled pricing that is based on usage and has a maximum spending cap so that if you reach your limit, you will not be overcharged for data used. Digital Ocean plans provide anywhere between 512 MB to 8 GB RAM, and storage ranges between 20 and 80 GB. In addition to their 24/7 customer service, this cloud server also has a helpful community platform where Digital Ocean users can discuss issues and offer advice on a variety of topics. With numerous hosting options, excellent 24/7 customer service, affordable prices, and highly efficient technology backing their platform, Media Temple is a powerhouse hosting service that can put your website on the internet map. Media Temple places a great deal of emphasis on its customer service, in particular, and is eager to ensure that those individuals and businesses using its hosting services are satisfied. The unique part of Media Temple that can prove either a benefit or a disadvantage is the fact that its VPS web hosting packages are based a Linux operating system, not Windows. For individuals who either require or rely on a Windows OS for their computing needs, this hosting service may not suffice. Media Temple utilizes CloudFare network security via Railgun, which is effective at preventing malicious software and hackers from accessing your website. The service also offers SiteLock’s SMART (Secure Malware Alert & Removal Tool) technology which is able to strip malware from your server if it manages to get through Media Temple’s security overlay. Plans start at 20 GB storage and 1 TB of monthly data transfers. There is also a 30 day money back guarantee if you are not satisfied with Media Temple’s services. Kinsta is another hosting service that is based on providing platforms for WordPress hosting, in particular. This cloud hosting service is designed to be easy enough for beginners to use, with enough advanced features that will satisfy more experienced developers. Kinsta is powered by the Google Cloud platform, which gives it the backing of an extremely high powered service that utilizes a container technology, which isolates each WordPress site and increases overall latency and uptimes. The hosting service also has a beautifully constructed and user friendly dashboard with overlays that track your overall bandwidth usage, open invoices, resource usage, and your managed sites, with plenty of additional options that give you complete control over every aspect of your website. Security measures involve automated backups (up to 14 stored at a time), two-factor authentication, GeoIP blocking, automatic malware scans, and automatic IP blacklists to prevent hackers from accessing your site. Kinsta hosting plans range from 3 GB internet storage to 120 GB, and can be customized to meet any individual or business needs. This service is geared more toward those serious individuals who are looking for the fastest possible service. Inmotion hosting services are an ideal match for the website and web hosting beginner with enough advanced features and components that will scale with that beginner as they gain experience and expertise in the virtual world. 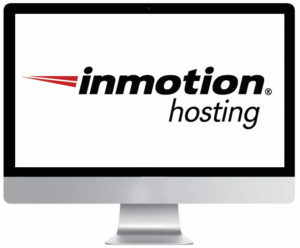 Inmotion offers maximum uptime and high performance speeds with zero downtime site transfers so that you can get going with your new Inmotion hosted website as quickly as possible. As an added benefit, if you live close to one of Inmotion’s data centers, your website speeds will be even faster by proximity. Inmotion employs four Tier 1 ISP providers that make sure your website’s data flows smoothly and that backups are quick, constant, and efficient. If you desire more security measures, Inmotion offers SSL certificates for sale starting at $99.99 per year that come with a dedicated IP address. In terms of customer service, this cloud host offers 24/7 phone and web chat options that are quick and efficient in resolving any issues you may run into. Even better, their customer service is all in-house, meaning they do not outsource their customer support. Every member of Inmotion’s customer service team is highly trained and qualified to assist you with your website and web hosting needs. Inmotion plans range between 4 GB RAM and 75 GB storage to 8 GB RAM and 260 GB storage. In terms of price, Inmotion is one of the more fairly valued options for the amount of RAM and storage that they provide. Read my InMotion Review for a more in-depth overview of this host. 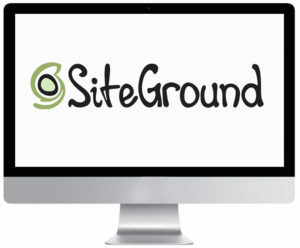 Every Siteground plan comes with a free domain name, free SSL certificate, lightning fast installation, scaling pay options, and a user friendly cPanel control panel. Like most cloud hosts, Siteground’s overall uptime and download speeds are exceptionally efficient, and behind the scenes the company utilizes a custom server monitoring software that has the ability to resolve most issues without any human intervention. And any time Siteground’s servers are unable to meet their dedication to a 99.9% uptime, they will credit your account for any slow downloads or extended downtime experienced. Siteground is serious about its servers’ security, and utilizes a program that isolates shared server accounts from one another so that if one server experiences a security breach or other malicious attack, it will not compromise the other accounts in that server. The company also employs HackAlert Monitoring (which will cost an extra $1 per month), hotlink protection, IP blacklists, and anti-spam programs (SpamExperts and SpamAssassin). One unique feature that Siteground also offers is called “Leech Protect” that prevents users from posting their passwords on public areas of the site. This web hosting service is renown for its high quality of customer service staffed by skilled technicians. Certain plans even offer a higher, more specialized degree of service if that is something you are concerned about. Additionally, each service member has a profile that you can access and learn more about their specific background, expertise, interests, and overall experience. Siteground plans start at 40 GB storage and scale up to 120 GB storage depending on your specific needs. This cloud hosting service is on the pricier side, but their service and attention to detail make them worth the investment. Read my SiteGround Review for a more in-depth summary on this cloud web host. As you search for your preferred cloud host, you can try Hostinger free for 30 days to test out their WordPress hosting, highly efficient technology platforms, scaling pricing system, and high quality security measures at reasonably affordable prices. 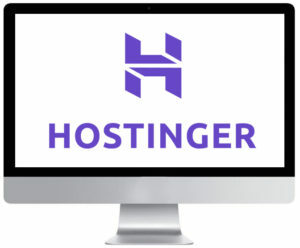 Hostinger includes reasonably impressive uptime and very fast load times with plenty of customer support options to support you and your website as you work to get underway. When you sign up, you are given a free website designer and domain name that you can customize with ease. Editing and controlling your website is also easy, as their interface and control panel are very user friendly. Hostinger does require a longer time commitment for its plans, which can increase costs in the long run. For its security measures, Hostinger has daily automatic backups of your website and employs BitNinja DDoS protection, which is an all-in-one and easy to operate protection suite. Hostinger plans range from 1 GB RAM with 20 GB storage up to 8 GB RAM and 160 GB storage. This hosting service is on the cheaper side, but it may involve some hidden fees. So be careful and pay close attention when using Hostinger’s service.